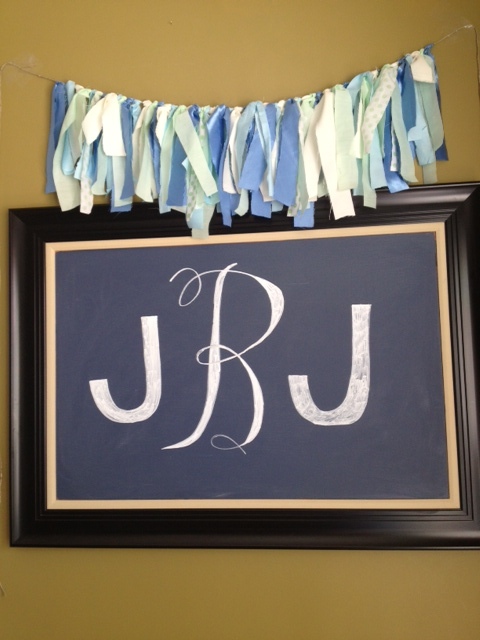 The banner as we displayed it at the baby shower over a chalkboard with baby’s monogram! 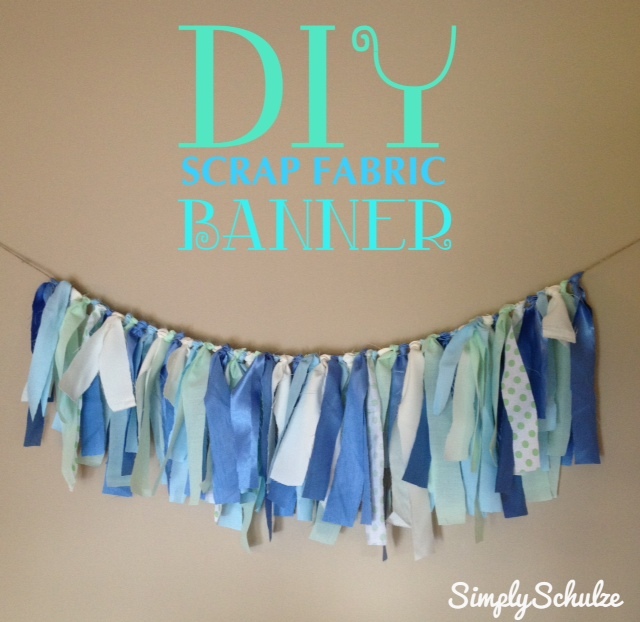 Fabric – the amount and color will depend on your color scheme and the size/length of your banner. There is no limit to the kind of fabric either, mix textures and prints and get creative! 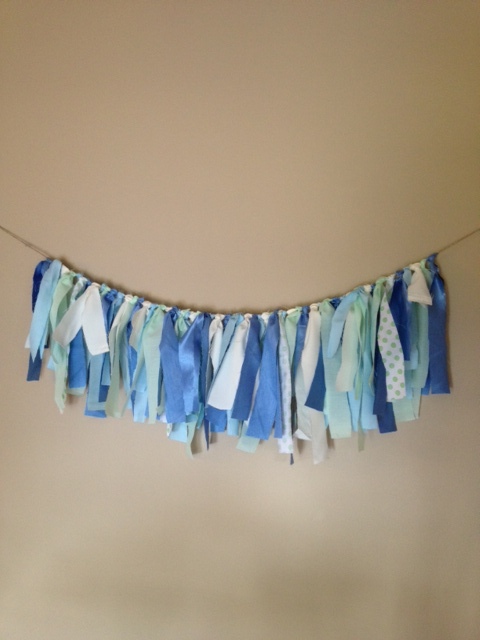 Twine/Ribbon/String – to tie your scraps around, I used left over twine from another project but a ribbon of a complimentary color would have been nice as well! Step 1: Begin by cutting your strips of fabric. Whether or not all of your strips are the same width and length is up to you. 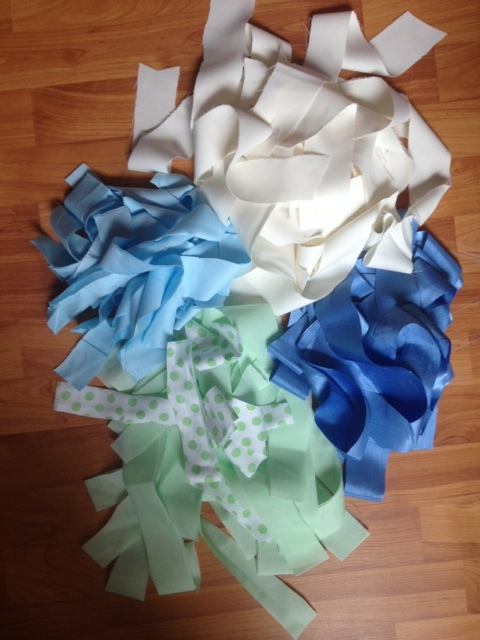 When cutting my strips I started with one fabric and cut a bunch of the same width and length, then moved onto the next fabric and cut them about the same width but a different length from the original group. 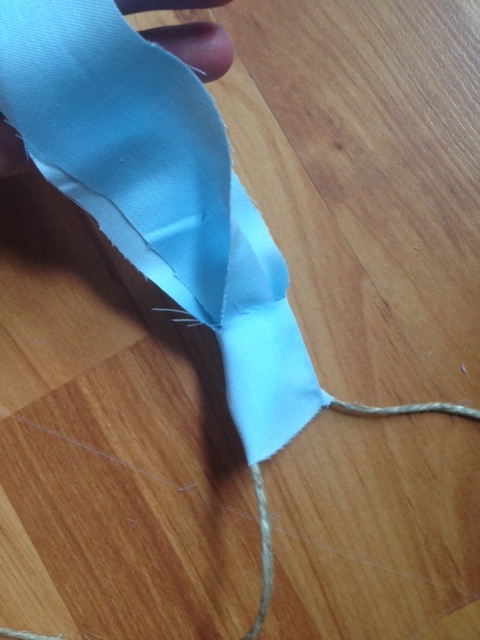 Step 2: Lay out a piece of twine or ribbon, the length will depend on how long you want your banner to be. 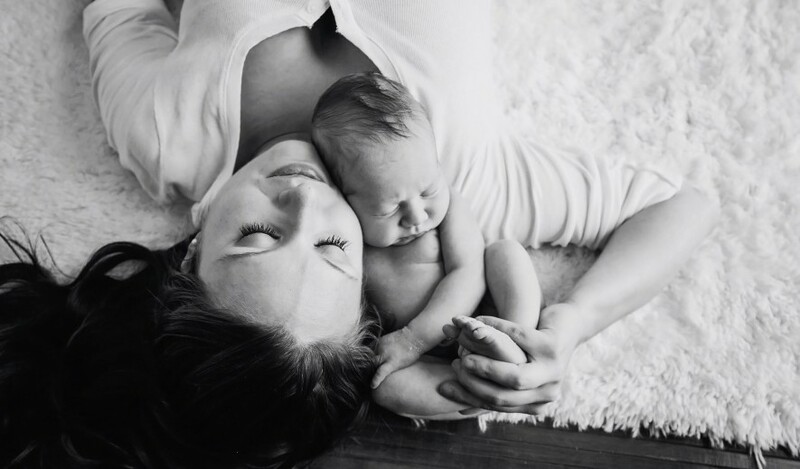 Make sure you leave enough slack on either end for hanging. 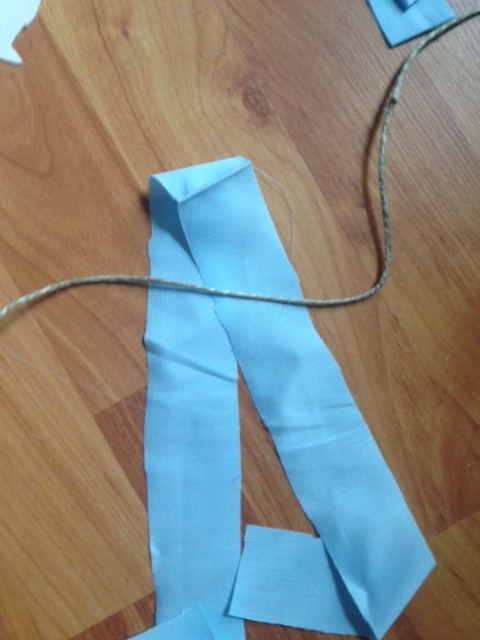 Step 3: Fold a fabric strip in half (as shown) and lay it across the twine or ribbon, then pull the two “tails” of the fabric under and through the “loop” (see picture), pulling it tight to form a knot. Step 4: Continue in this fashion, after each knot is made slide it down so that it fits snugly against the one before. I arranged mine in no particular order but you can follow a pattern of colors to make the banner look more uniform if you wish.